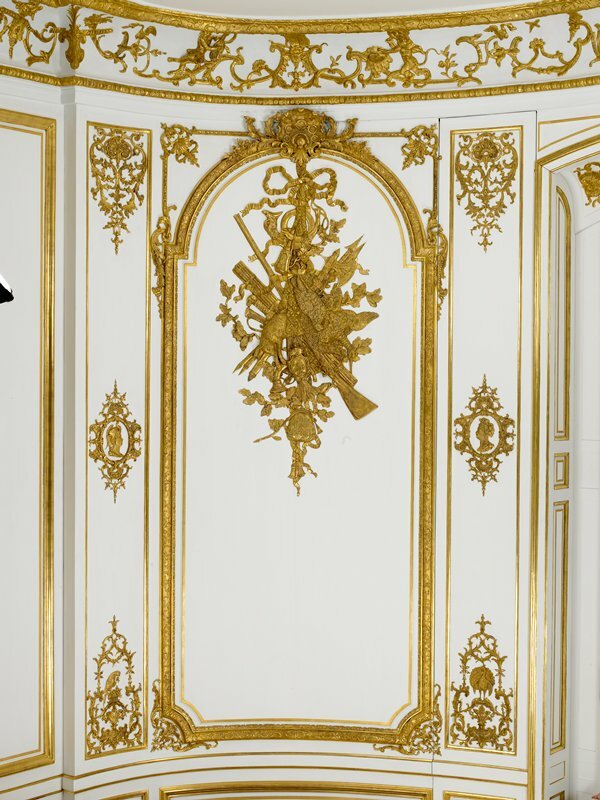 Jean Gaillard de la Bouëxière built the Grand Salon in his Paris mansion, around 1735, to be his party room. A tax collector for the French crown, he wanted to show that he could afford to play as hard as he worked. It was here that he and his guests enjoyed music and other diversions at a time when leisure—how, when, and how often you entertained—said everything about you. The decorative carvings of the hunt, musical instruments, and personified continents perfectly conveyed his refined interests and his privileged position within the French government. The luxurious gold, crystal, and mirrors reflected not only his wealth but also the candles in the room, amplifying the light so that his parties could carry on late into the night. Is the night too bright? Adieu to the unfriendly Frenchman? Click here to see the machine readable JSON data that underpins this page. This record is from historic documentation and may not have been reviewed by a curator, so may be inaccurate or incomplete. Our records are frequently revised and enhanced. If you notice a mistake or have additional information about this object, please email collectionsdata@artsmia.org.